More photos in the article. It is the AFB President Bush was flown to on 9/11. Is that the SOFIA 747 back there? ShanwickOceanic wrote: Is that the SOFIA 747 back there? 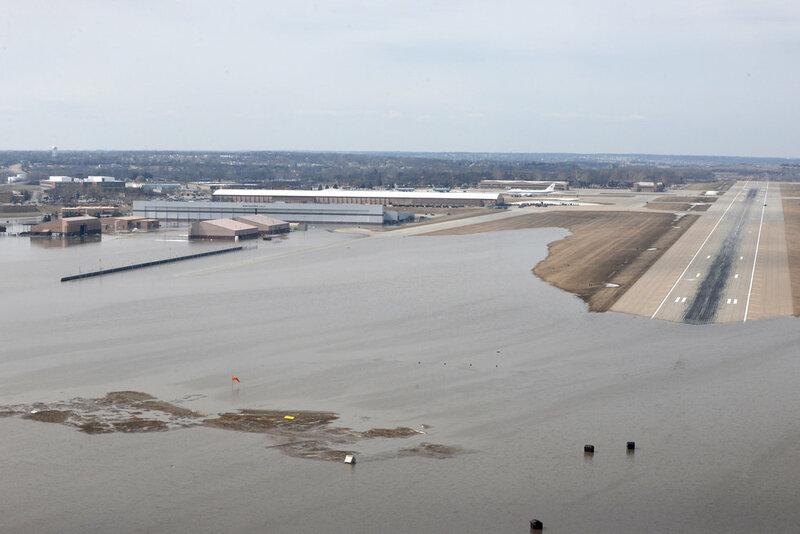 The big area of water on the left is the RC-135 ramp. No tails sticking out, so they must have been flown out in advance. Most if them are usually never home anyways.